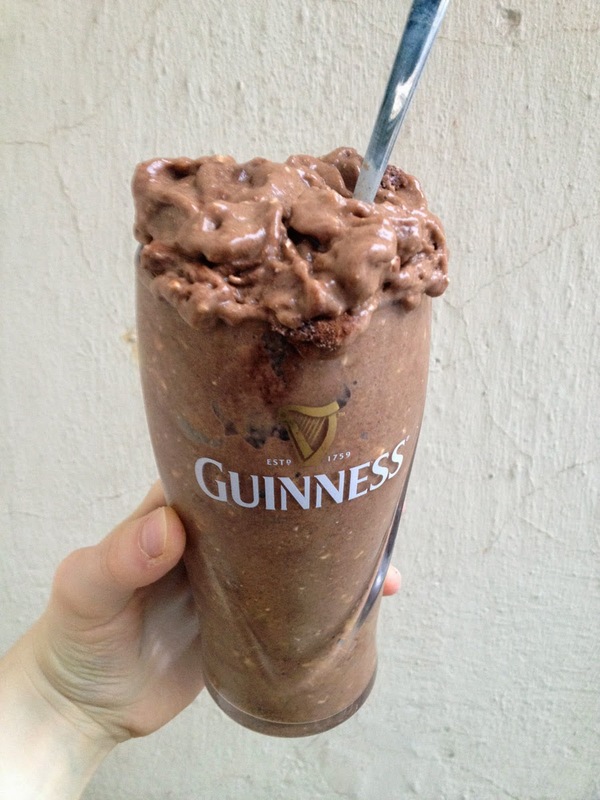 suitable for: vegan, lactose-free, gluten-free, raw food, and delicious "even so"
Now that's my kinda Guinness! It has of course nothing to do with beer. Because i don't like beer. You could probably say it's a marriage of my Spiced Gingerbread Ice Cream and Fragrant Vanilla Cake's Raw Cacao Gingerbread Shake. I love how well the taste of chocolate from the cacao and the orange go together. It's like Christmas all over again! It's ridiculously easy: throw everything into your blender or food processor (i'm using a food processor this time), and pulse/blend until everything is nicely incorporated and creamy. 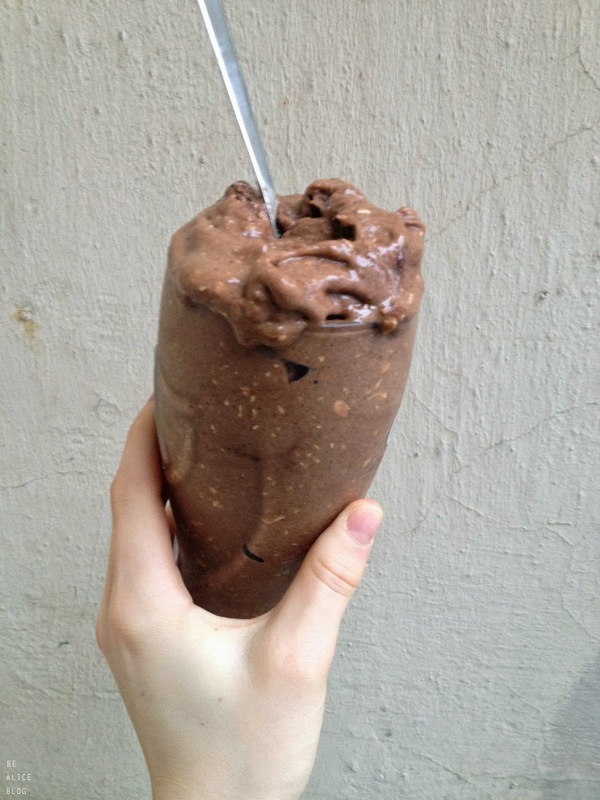 I started with my frozen bananas and the orange, pulsed, then added the spices, and blended again. Using a spatula or spoon or a proper ice cream scoop, fill everything into a bowl (or do it like me and pile it up in a stylish Guinness glass :)), maybe sprinkle with cinnamon or cacao or cacao nibs and enjoy!